Salt is not only critical to your life, but it is one of the basic elements of which your body is made. Like true lovers, the relationship between salt and your health is so intricately involved as to make them impossible to be disentangled or untied. Without salt, you could not exist for a moment. At the fundamental level of the physical body, you are a walking, breathing, salty ocean. Essentially, every cell in the human body is dependent on the presence of sodium. We find sodium diffused throughout the fluid between cells. Each cell in our body is like a small ocean containing salty water. Inside our cells we find primarily potassium. These two minerals, sodium and potassium need to be in constant, dynamic balance so the cells can exchange incoming energy with outgoing, depleted energy. Your body is constantly monitoring these minerals and working to maintain their delicate balance. The American Heart Association, have said that everyone, not just those at risk, should aim for that very low sodium level. “Those are all bad things,” Dr. Alderman said. 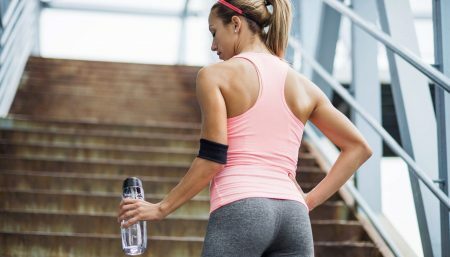 “A health effect can’t be predicted by looking at one physiological consequence. There has to be a net effect.” Medical and public health experts responded to the new assessment of the evidence with elation or concern, depending on where they stand in the salt debates. Magnesium is the second most abundant element in our bodies, and is used in regulating over 300 enzymes and reactions in the body. I’ve written before about how the depleted magnesium levels in our food and water, and the imbalance of nutrients in the foods that we eat have left most of us dangerously deficient in Magnesium. The skin is the body’s largest organ, and as such, has an amazing ability to absorb, filter toxins, and deliver nutrients to the body. It is also a visible sign of the health of the body as a whole. When the skin has rashes, eczema, psoriasis, dry skin, acne, or other problems, this is often a sign of deeper issues within the body. As the skin is also an elimination organ, the body will push out toxins through the skin when the other organs of elimination (gut, liver, kidneys, etc.) are taxed or burdened. 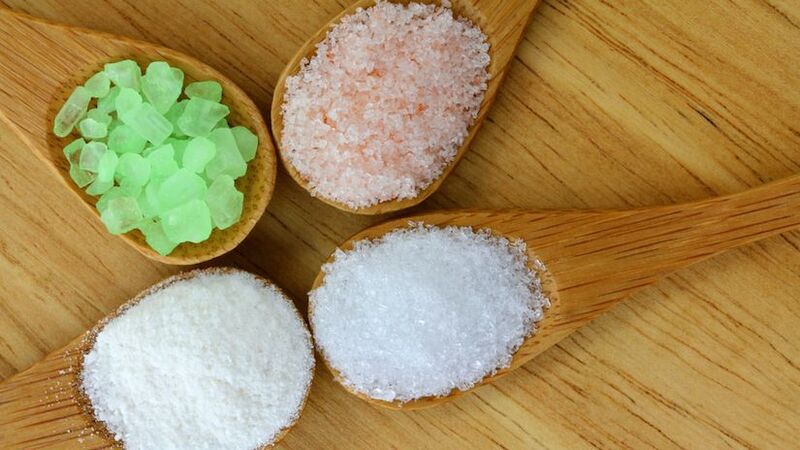 Add a cup of epsom salts or magnesium flakes and a few tablespoons of Himalayan salt to your kids baths. When have the time, then take relaxing baths in this mixture also. When you can’t take the time for a bath, magnesium oil also helps. Amazingly, you shall notice the benefits of transdermal magnesium (baths or magnesium oil) much more quickly than when you take internal forms of magnesium. You may mix the salt and magnesium flakes and then sprinkle with the vanilla and essential oil. The whole mixture gets added to a warm bath, and then soak for at least 20 minutes, though 30 is preferable. You may try to make time for this at least once a week. 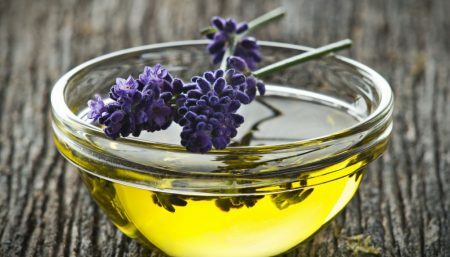 For intensive therapy (illness, eczema, etc.) 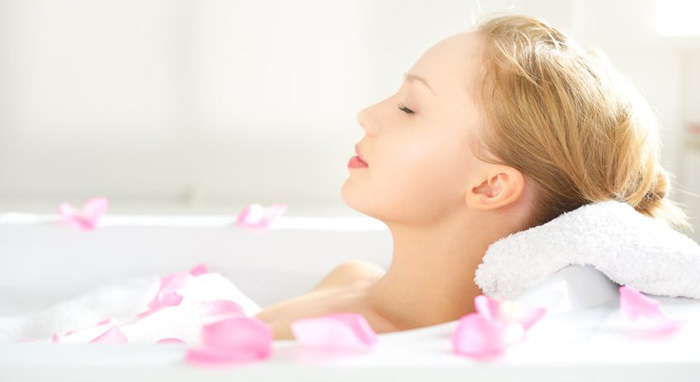 these baths can be done daily, though you should check with a doctor if you have any medical conditions.